Get your kiddos a new winter jacket! 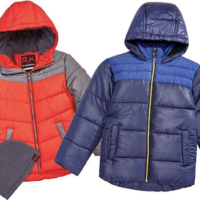 Head over to Macys.com to grab a Kid’s Puffer Jacket for just $15.99 (regularly $75-$85)! Plus, you have the option to select free pickup! It’s getting colder and colder outside so now is a great time to shop. These are going fast!